The vast majority of RVs are equipped with the familiar dc/propane fridge, also sometimes called a “recombinant gas” fridge. It’s an archaic design, sensitive to poor leveling, occasionally prone to catching fire, and amazingly poor at holding inside temperature constant. It’s also so inefficient that it can take almost a full day to cool down after being shut off for a while, or being loaded up with warmish groceries. So why are these pitiful appliances so ubiquitous and still sold in droves by the likes of Norcold and Dometic? Well, they kinda work and they’re kinda cheap. They use very little electrical power and darn little propane. And people put up with them. Not me though. I was so disgusted with my propane fridge performance that I put a brand-new after-market cooling unit in it a few years ago. I saw absolutely no improvement (although the heavier gauge metal is probably less likely to crack and leak or cause a fire), causing me to get even more disgusted. So I started researching all-electric fridges, such as those installed in high-end “park” model RVs. These are essentially relocated residential fridges, and when I looked up their power consumption I about had an aneurysm. Are you ready for this? 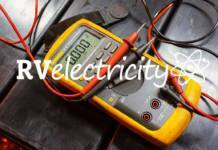 A typical 120V fridge will chew up nearly 200 watts of power when running, and burn through almost 2000 watt-hours in a day. For a plugged-in RV, this is no big deal. But for us 12V-only boondocking types, that means that the fridge would drain a 300-amp-hour battery pack every day. Even worse with the losses from having to provide that 120V through an inverter. Even with my 400W solar array and 360AH (usable) lithium battery pack, it was an impossible scenario. I’d have to be running a generator for hours every day, just because of that power-hog fridge. Some folks may not mind living on top of a running engine, but it’s not for me. I needed a way to have my solar/battery combination and my fridge be compatible. For a while, I abandoned the search, but I later learned about a technology that’s common in the marine/boating world, but not that familiar with RVers: the 12V Danfoss compressor. Danfoss is a Danish company that began in 1933. You can look them up and get a lot more info, but suffice it to say that they seem to own the market in 12V refrigerator compressors. Virtually every maker out there – Vitrifrigo, Novakool, others – use the Danfoss subsystem. The motivation is simple: reliability, efficiency, low power consumption. 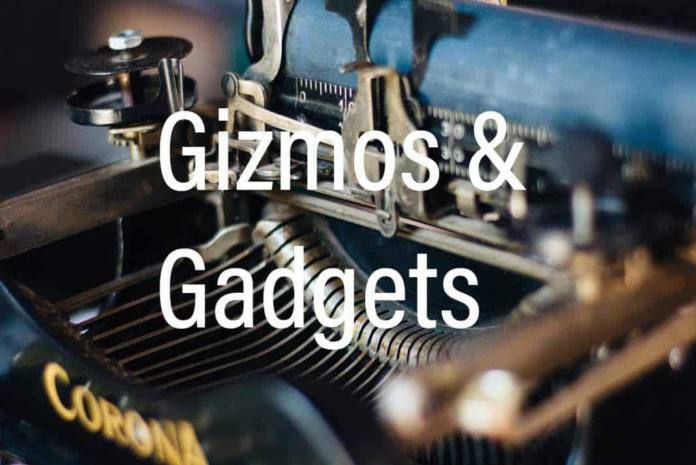 As I looked deeper into these products, more advantages came to light. The Novakool unit that I ended up purchasing took up the exact same space as my old Norcold. But, where the Norcold provided six cubic feet of capacity, the Novakool had nine cubic feet. The reason is that the 12V compressor and cooling coils take up far less space than the bulky chemical engine of the propane fridge. In addition, all the hardware is lighter, and I even ended up shaving more than 20 pounds off my slightly-chubby motorhome. When I told my wife we’d be upgrading the refrigerator, she pushed back. It’s working fine, she said; we don’t need to spend the money, she said. I told her it would have 50% more space. When will it get here, she said. Project approved. The first time I switched it on, instead of 8-12 hours of cool-down time, the whole fridge and freezer were at temperature in 45 minutes. It was impressive. The most important thing – the power draw? Specifications say the compressor draws 5.3A on the 12V line when running. I measured it at … 5.3A. So then I let the fridge sit for a day, and measured how much power it drew. The weather and coach interior were around 75-80 F, a pretty good mid-range test. Fridge set to 40 F, freezer to 0 F. Total power draw for about 24 hours was just under 20 amp-hours. In other words, the compressor ran for only about one hour out of every six. Even if warm weather causes that to double, I’m still good with it. I should note that I did take some extra time and added foam insulation anywhere I could during the installation. These fridges don’t require any external venting like a propane fridge does, so I sealed up those vents and insulated them as well. Not everyone will benefit from this upgrade. It’s expensive ($1200 and up), and you really need a good solar/battery system even with its modest power draw. But for veteran boondockers, it can be a real – uh – boon. Bottom line? So far, so good. I don’t have a lot of time on it yet, so I won’t give it a reliability score for a year or two. But all the potential pluses are real, and I’m – what’s the phrase? – a happy camper. 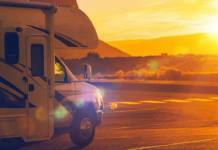 What about RVing somewhere else? Like AFRICA? Which heater is best: Forced air, ceramic or catalytic? Fulltime RVing — Don’t you get lonely? 19KC69 says “However, most people will fall over backwards when they find out what a good solar system will cost”. Ya got THAT right pal . . .! But, if you can afford it, you’ll never again be without it. I would love to know if he has hard ice cream with this new refrigerator. I have been searching for a late model diesel pusher and hoping for a residential refer and feed up with our side by side propane that give me ice cream that won’t harden. Our domestic is located in a slide and even with additional fans, we can’t get hard ice cream. We turn the settings up to accomplish the feat then all the produce in the refer freezes. I had no idea that residential refers used that much electricity. Does anyone know of a DC refrigerator/freezer that is 12 cu ft or larger? Looking to replace my No-Cold 1200! You say this needs a solar array. But what about using it with a converter? Wouldn’t that let it work on shore power? When your shore power is plugged in, the battery is automatically charged and therefore also automatically provides the 12V for refrigerator – problem solved. We’re full time boondockers and use a residential fridge, but we paid $$$ for our solar system. 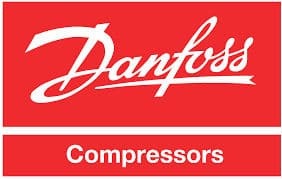 I am intrigued by the Danfoss compressor. Thank you for a great resource and an article with perfect explanations. Tell us the size of refer you installed, if 20cf, 20 ah is impressive, if 3cf not so good! A 10.7 cf residential will run 1/2 hour every hour and use about 80 ah per day. Surprised Novacool runs only 1 hour out of 6, that is efficient. A 10 cf Nocold will run about $2300 installed, so Novacold at $1200 is cheap! I look forward to updates. Especially how well you can place items in the unit in comparison to your previous unit.